Our founding members decided to form Farmacist, in 2011. Their goal was to provide growers and industry bodies with high quality services, leading to improved crop management strategies and increased yields. With offices and highly capable teams in Mackay and the Burdekin, Farmacist is able to offer agronomic services and consultation throughout Queensland. Our staff have experience in a wide range of crops, including sugarcane, grain and horticultural crops. As an independent agronomic consultancy company, we are dedicated to providing accurate and practical advice. We are a leading provider of technology based solutions; our emphasis is placed on the importance of plant growth patterns, variable rate product application and mapping soil properties. We are able to map soils ourselves, with a Veris 3100 mapping system and an EM 38 RK2 machine. 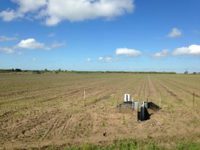 We are involved in a number of project across the Burdekin and Mackay regions, looking to improve all aspects of grower production, profit and water quality. Farmacist has been providing growers with high quality agronomic advice and management strategies since its inception in 2011. Our team has experience in a wide range of crops, from sugarcane to horticulture. As an independent service provider, you can be assured our recommendations are based on what is best for your crop and your back pocket. Soil mapping and aerial data can help growers make better management decisions. Through mapping soil characteristics, such as EC, management zones can be developed. Inputs can be applied more effectively, increasing yields and reducing losses. Farmacist have been providing soil maps and recommendations to growers in The Burdekin and Mackay for many years. Farmacist is a leading provider of independent research and development for all aspects of the cropping industry. Working with growers and industry bodies, we have been involved in a number of projects that have resulted in improved farming strategies.